YPG/J – People’s Defense Units | What's Left? The disadvantage of having “been there, done that” in politics for almost fifty years now is that nothing ever really surprises me anymore. I’ve gone from left anarchism to anti-state communism, with stops along the way in the Industrial Workers of the World and Anti-Racist Action. 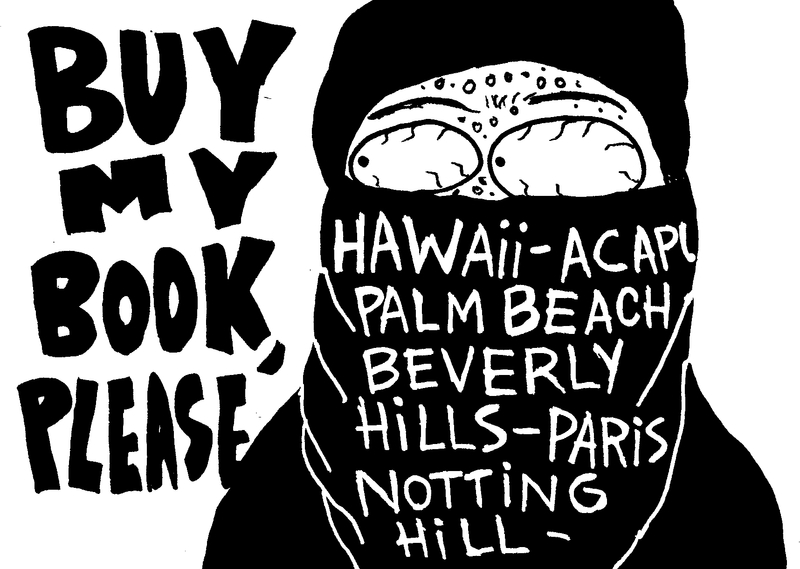 After organizing scores of ad hoc anti-authoritarian groups and producing hundreds of flyers, posters, zines, publications and like propaganda over that span of time, I’ve gotten a bit jaded. The last thing that truly surprised me in a good way was the shutdown of the WTO in Seattle in 1999. Since then, I’ve been only mildly surprised with some aspects of the Arab Spring, the European anti-austerity protests, popular autonomous movements in Mexico, and the Occupy Movement. So, let’s consider a couple of things that are kind of cool and interesting in politics these days. 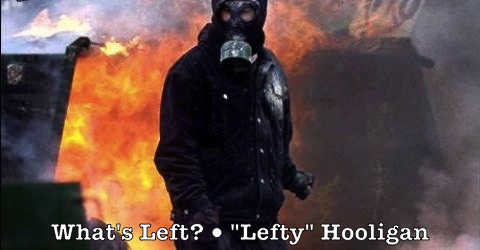 First, let’s be clear that I no longer claim any type of politics to the left of the Left. I still have sympathies and solidarities, but no overt affiliations. Which means I tend to be less concerned with purity and much more pragmatically inclined. Which, in turn, means I’m not into the game of “more anarchist/communist than thou” as I analyze existing politics and evaluate current events. So, let’s consider two subjects that seem to have anti-authoritarian knickers in a twist. Begin with the plight of the Kurdish people. The Kurds have asserted a common ethnic identity through shared language and culture for over nine hundred years, ever since the high Middle Ages of the 11th or 12th centuries. Modern Kurdish nationalism arose after 1880, and if anything gives anti-authoritarians the screaming heebie-jeebies, it’s nationalism. Patriotism, the nation-state, national liberation struggles; nationalism in all its variations and permutations is anathema certainly for anarchists and also for most left communists. The Kurds struggled for national self-determination for a greater Kurdistan against the Ottoman empire until British/French imperialism divided up the Middle East after the first World War. Most of the Kurdish population found itself in southern and eastern Turkey, with sizable minorities residing in northeastern Syria, northern Iraq, and northwestern Iran. This arbitrary division of the region into artificial nation-states fractured the Kurdish national movement into separate nationalist struggles; the PKK in Turkey, the KDP and then the PUK in Iraq, and the KDP-I and PJAK in Iran. All of these Kurdish political entities claimed to be, to varying degrees, political parties/guerrilla armies fighting for national liberation against their respective non-Kurdish regimes. Sectarianism, nationalism, and imperialism have continued to keep Kurdish struggles fragmented, among the most intransigent being the Kurdish PKK’s incessant “peoples war” against the Turkish state. Even Kurdish successes have been piecemeal as a consequence. This is illustrated by decades of conflict between the Iraqi Kurds and Iraq’s Ba’athist regime in aborted revolution, back-and-forth war, and state instigated genocide, finally mitigated only by the happenstance of American imperialism. When the US military enforced a no-fly zone over northern Iraq after the 1991 Persian Gulf War, Kurdish peshmerga consolidated autonomous power in the three northernmost Iraqi provinces (Dohuk, Arbil, and Sulaimanya) and surrounding territories, even as various Kurdish political factions fought a civil war for control of what would be called by 1998 the Kurdish Federation. This territory has been governed as a state-within-a-state by the Kurdistan Regional Government after the US/Iraq war of 2003, a pro-Western, pro-Turkish sovereign Kurdish state in all but name and UN recognition with pretensions to being the first puzzle piece fit into a greater Kurdistan. Ostensibly influenced by libertarian socialism, Öcalan and the PKK have given a particular shout-out to Murray Bookchin’s libertarian municipalism for their ideological turnaround. The Kurds have now seized the opportunity offered by Syria’s disintegration into civil war, and the threat posed by the resurgent Sunni fundamentalist Islamic State, to fight for an autonomous Kurdish region in northeastern Syria known as Rojava. The PYD party, which fields the YPG/J guerrilla army, has close ties to the PKK and governs Rojava with the pro-Iraqi KNC through a Kurdish Supreme Committee. The PKK’s communalism and democratic confederalism pervades Rojava. The territory is organized into cantons (Afrin, Jazira, and Kobani), governed by councils and communes, all defended by armed militias. The peshmerga have even joined the YPG/J in defending Kobani against the IS. So, here is the conundrum for anti-authoritarians. Is Rojava a genuine libertarian revolution of the Kurdish people, or is it window dressing for the post-Leninist Öcalan and his crypto-authoritarian, unapologetically nationalist PKK? When the EZLN broke onto the international political stage in 1994, the Zapatistas were mum about their origins in Mexico’s 1968 student Marxist/Leninist/Maoist politics, as well as coy about their own political ideology. Nevertheless, anarchists and left communists embraced the EZLN wholeheartedly, without reservation, and events in Chiapas were defended as both revolutionary and anti-authoritarian. Not so Rojava. 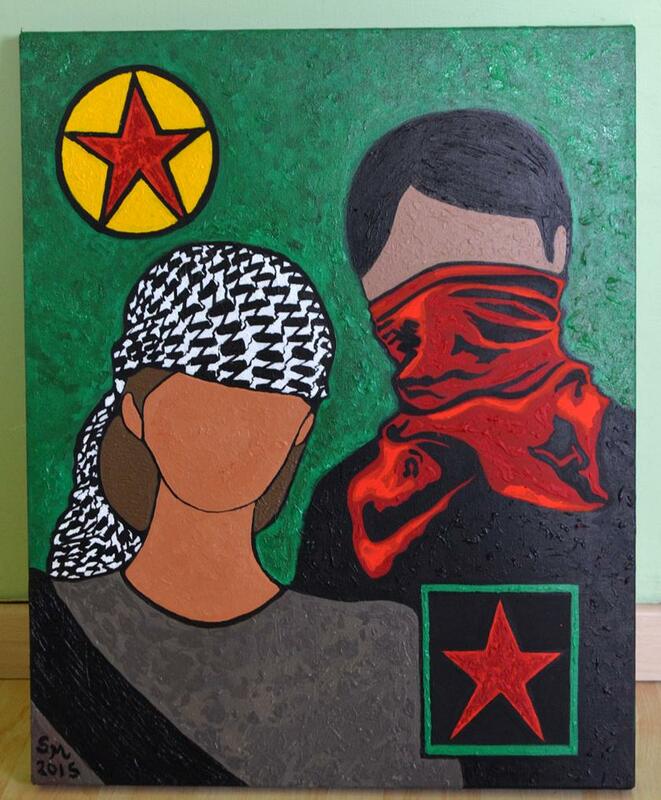 The anarcho/ultra milieu is being asked either to show unconditional solidarity for the revolution in Rojava or to summarily denounce Rojava as a Trojan horse for autocratic Kurdish nationalism. Apparently, no nuance is permitted. Let’s now switch to another of the anti-authoritarian Left’s abominations—party politics. Political parties are universally vilified by anarchists, and less consistently condemned by left communists, whether liberal democratic, Marxist, fascist, what-have-you, and whether in the context of parliamentary democracies or one-party totalitarian states. No surprise then that the anarcho/ultra milieu views with intense suspicion the rise of Syriza in Greek politics. The 2008 international economic collapse forced the European Union to the brink of default, and the Greek economy into bankruptcy. The Greek government economic crisis distilled down the general European economic crisis into a painful Greek depression in which Greek debt soared, GDP growth went negative, and a third of the population became unemployed. Numerous factors were blamed for this—unrestrained government spending, unsecured lending by rapacious creditors, corruption and tax evasion in society, etc. But the consequence was economic default, downgrading Greece’s credit rating, and two Economic Adjustment Programs (EAPs) of debt restructuring, severe austerity, and public sector privatization forced on Greece by the Troika of Eurozone, the European Central Bank, and the International Monetary Fund. More to the point, social misery and unrest followed, with demonstrations, labor unrest, strikes, and riots becoming a daily occurrence. The Greek government, comprised of the socialist PASOK and conservative New Democracy parties, accepted the bailout constraints, disciplined their respective memberships, and implemented the austerity, restructuring and privatization measures of the EAPs. Meanwhile, social suffering and rebellion escalated. One result was the resurgence of a xenophobic, anti-immigrant, fascist right in the Golden Dawn party, but another more important upshot was the formation of Syriza as an anti-austerity, EU-critical, opposition political party. Syriza itself is a unitary party forged from a diverse coalition of much smaller constituent parties claiming liberalism, social democracy, revolutionary socialism, communism, ultraleftism, eco-socialism, environmentalism, green politics, and feminism. The dominant, democratic socialist, euro-communist, feminist Synaspismós party is in Syriza side-by-side with the Trotskyist DEA, the Maoist KOE, the ultraleft ROZA, the green AKOA, and a dozen more fractious political parties. The thought of Trotskyists and Maoists working together is mind-boggling in itself, and speaks simultaneously to the incredible fragility and astounding audacity of Syriza as a unified party project. Syriza got 36% of the popular vote in the 2015 Greek elections, enough to form a government in parliamentary alliance with one other, very minor Greek party. That this was with the right-wing, national-conservative, Euroskeptic party called Independent Greeks (with 4.7% of the vote) instead of the old-school KKE Communist party (5.4% of the vote) was also quite interesting, allowing Syriza flexibility on its left flank. Syriza’s stated goal is to force the Troika to renegotiate the EAPs in order to end economic austerity and privatization for Greece. That I was mildly surprised by Syriza’s electoral showing doesn’t mean I hold illusions that Syriza will usher in social revolution, or even a “workers’ power,” for Greece. There is the very real danger that Syriza might act to effectively bridle Greek social movements and social unrest. That Syriza cannot resolve capitalism’s crisis in Greece goes without saying. But still, I want to see Syriza poke its thumb into the eye of the Troika causing Greece’s misery, if it can. I want to see Syriza cause as much trouble as possible before it is inevitably coopted, defeated, crushed, or liquidated. That too, goes without saying. That’s also how I feel about Rojava. I am mildly surprised by the successes of the armed Kurdish uprising in Rojava. But Öcalan is not Durruti reincarnated, nor is Kurdistan, even the Rojava part of Kurdistan, some anarchist utopia in the making. The limitations and shortcomings of national liberation politics, even those that proclaim socialist struggles for national liberation, are historically self-evident. Any movement for a greater Kurdistan, no matter how communalist, is also up against a capitalism in crisis. But still, I want to see Rojava take things as far as the Kurds there can with respect to liberatory social organization and self-defense. I want to see the Kurds of Rojava, and of all Kurdistan, kick up as much of a ruckus as possible before they are inevitably coopted, defeated, crushed, or liquidated. If Rojava or Syriza actually, fundamentally, completely wins? Well, that would be truly surprising. Finally, that goes without saying.